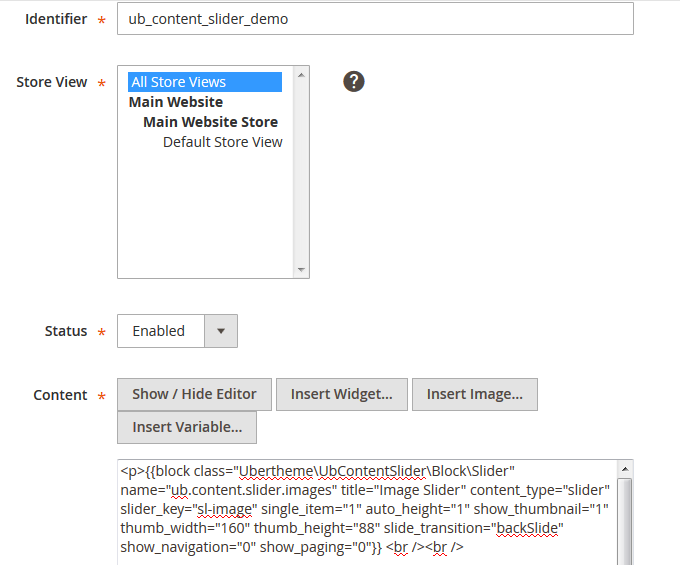 [Magento 2.0] UB Content Slider is a handy extension that allows you to create and manage unlimited images, products or video sliders for your Magento 2.0 store. 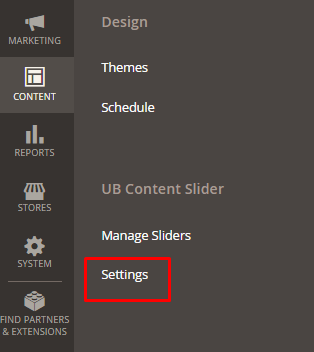 The userguide below will walk you through installation and configuration process to set up UB Content Slider. Let’s get started. 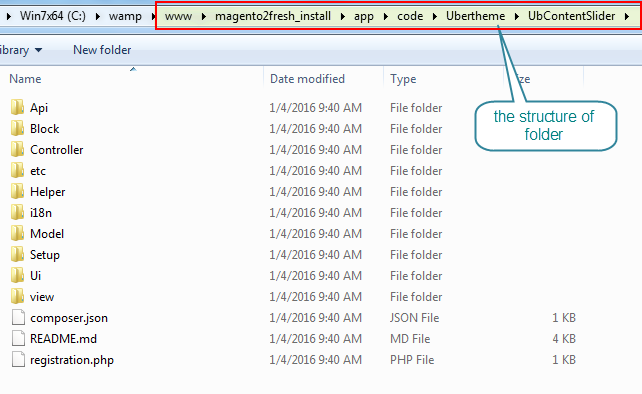 NOTE: the command php -f bin/magento module:enable -c Ubertheme_Base is required for UB Content Slider v1.1.3 and above. Now your extension has been installed on your web. At present, it supports 6 types of slider. In this guide, we will introduce to you a few kinds of slider as follows. A few ways to call content slider. 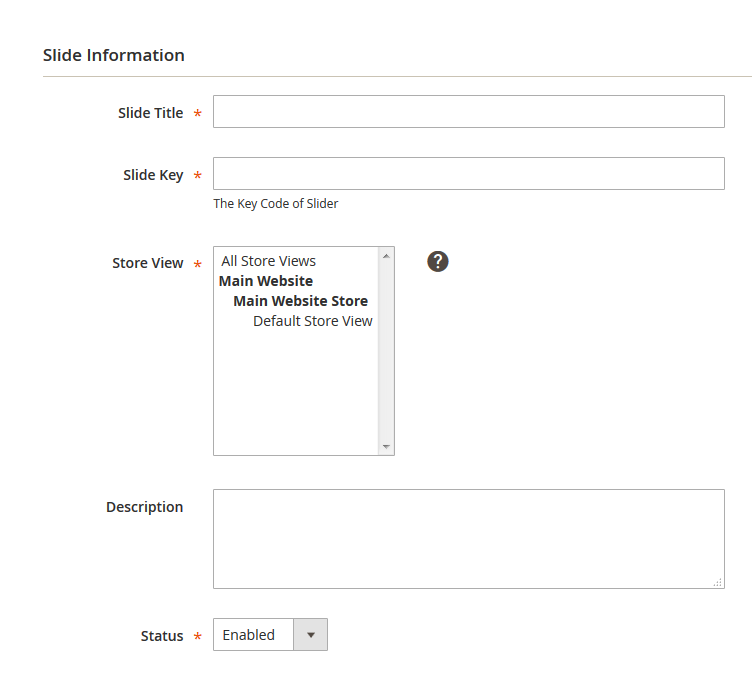 Show In Slider : Choose the slider that item will be shown in the frontend. Only choose if you want to move the next slide. Link Target : The target attribute specifies the default target for all hyperlinks and forms in the page. Content Type : Select content type for slide. Go to Product >> Catalog . First, you must create a new static block. Go to Content >> Blocks and Add New Block. 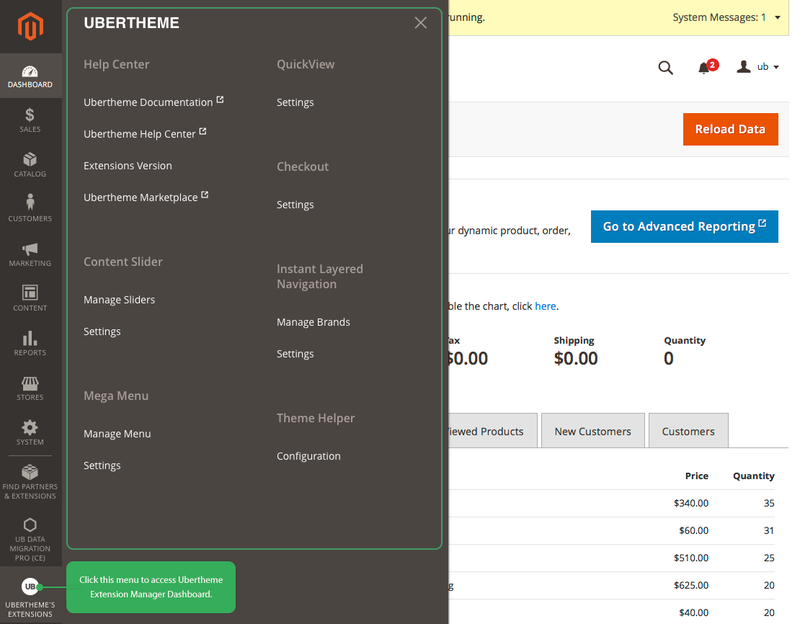 You can use the parameter listing above to configure your slider content. The screenshot below represents the way to create static block and call parameters. [slide_speed] the speed of slider. Default is 200 mini second. [number_items] visible Items (width > 1199), default is 6. Only apply when single_item = 0 Example: number_items = 6. 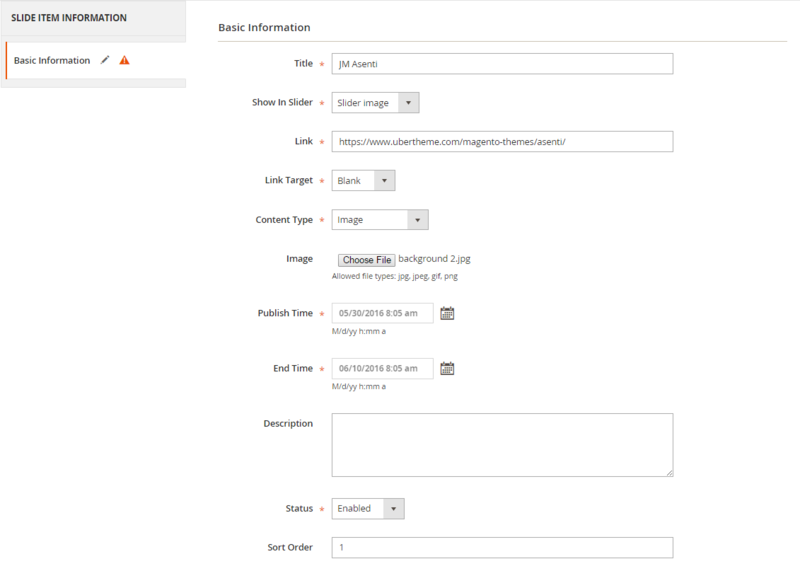 Magento 2 uses Widget to manage content blocks. By using widget, you can place block anywhere you wish on your website. and fill in Storefront Properties tab to configure widget in the frontend. Add Layout Update : This section to set up the display of static block. System will display the list of static blocks to select which has been created before. Click [Save] to save all configurations. 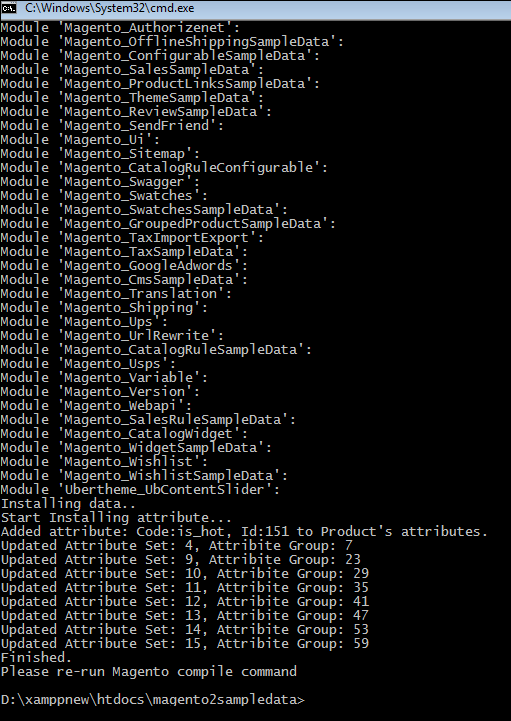 Beside the parameters configuration via the shortcode, it can also possible to configure via Magento 2 module configuration. Provided that UB Content Slider module is installed properly, you can follow the following steps to configure this Magento extension for your eCommerce website. Content Type : choose the type of product displayed, including: Latest/Best Buy/Most Viewed/Most Reviewed/Top Rated/Featured Product. Show Name: Select to show name of product or not. 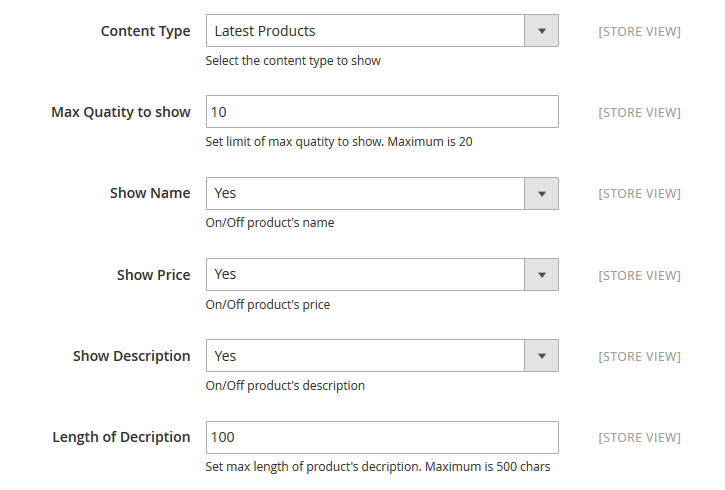 Show Price : Select whether to display the product price or not. 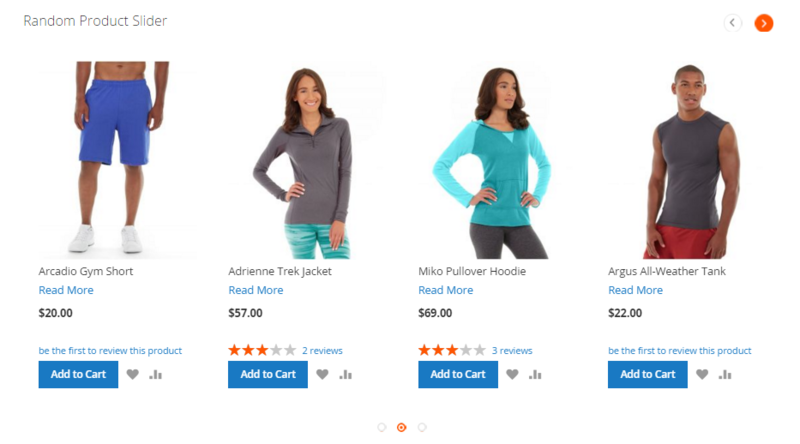 Number Items Per Page (on desktop) : define the quantity of products displayed. 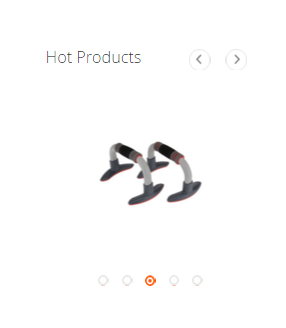 Number Items Per Page (on desktop small) : define the quantity of products displayed on desktop small. 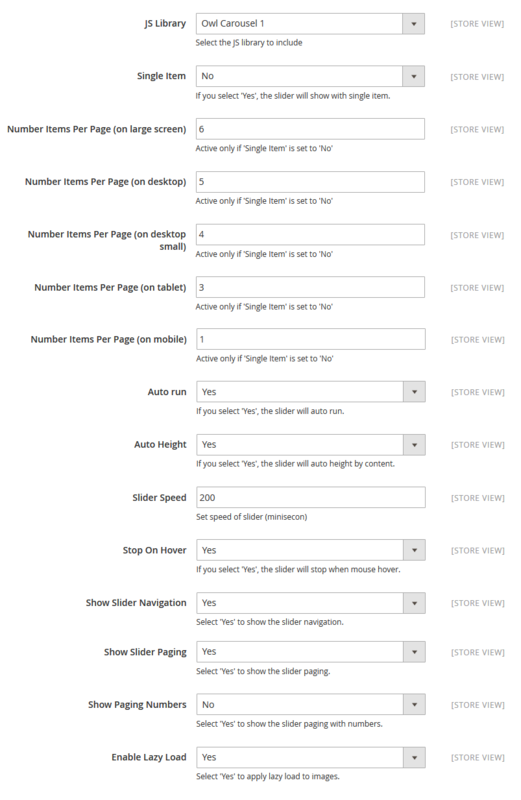 Number Items Per Page (on Tablet) : define the quantity of products displayed on tablet. Number Items Per Page (on Mobile) : define the quantity of products displayed on mobile. Auto Run : select whether to play slider automatic or not. Show Paging Numbers: Select ‘Yes’ to show the slider paging with numbers. Note: The lazy load feature is available for product content types only (Latest/Best Buy/Most Viewed/Most Reviewed/Top Rated/Featured Product). (This enhanced feature is added since version 1.0.6) It is now possible to add sliders anywhere using widget module manager. 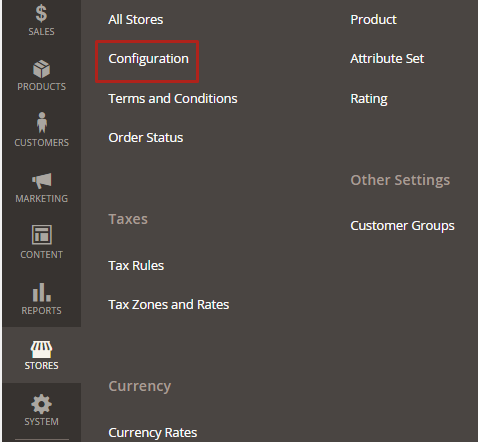 to widget section in the admin panel of your store. Step 2. In the Storefront Properties tab, fill in the widget configuration. Step 1:[Important] Remove related widgets if they were created. 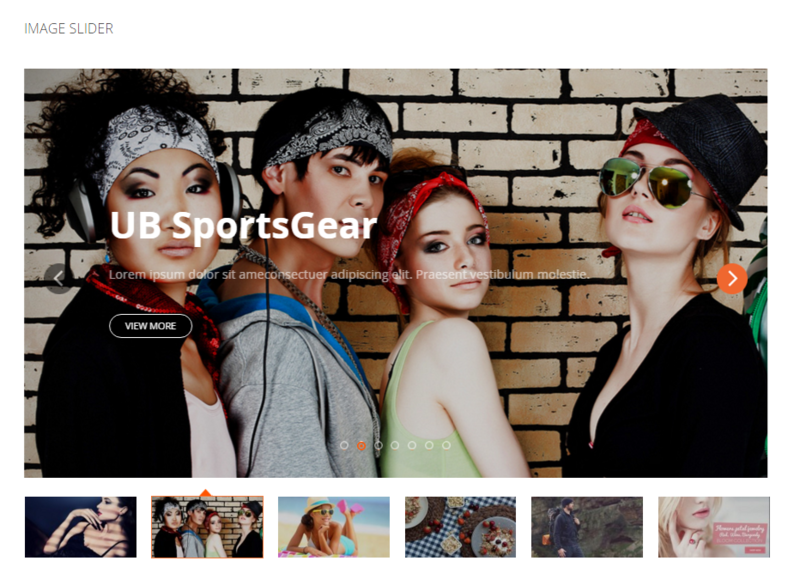 Go to your Backend | Content | Widget, delete all created widgets with Widget Type ‘UB Content Slider (products slider)’ OR ‘UB Content Slider (images/videos uploaded)’. Step 2: Disable UB Content Slider module and clean associated database tables.